Chic clean white clutch with magnetic closure. Extension strap for add style. Silver satin clutch with white rhinestones and chain extension strap. 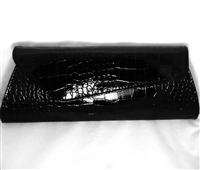 Croc print clutch is chic and fashionably stunning. Great for any attire. Fancy hunter green clutch with gold accent. Wristlette strap and extension chain included. Chic cross body bag good for daily use and a night on the town. Made of high quality faux leather. Multi compartments and a stylish front flap. 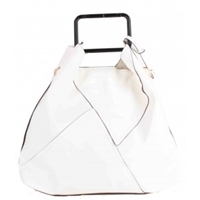 -Rear zip pocket This handbag carries it all off elegantly. Fashioned in soft, faux leather it's ideal for work, weekends and anywhere in between. This handbag carries it all off elegantly. 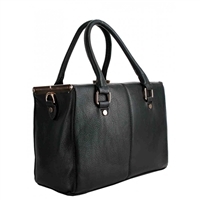 Fashioned in soft, faux leather it's ideal for work, weekends and anywhere in between. 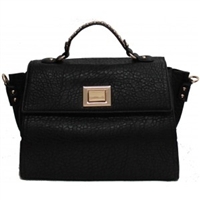 Stylish faux leather satchel. Spacious with multi compartment. Detachable cross body strap. 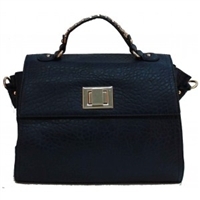 Stylish faux leather satchel. Spacious with multi compartment. Detachable cross body strap. 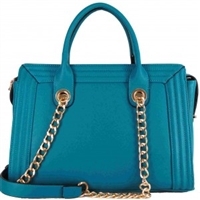 Chic faux leather handbag with gold trim accent. Classic everyday bag to compliment your daily attire. This handbag carries it all off elegantly. 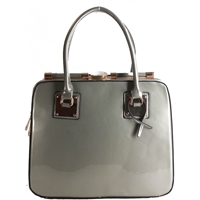 Fashioned in soft, faux patent leather it's ideal for work, weekends and anywhere in between.